Fashionistas will find retail bliss shopping in Chicago. On the hunt for the latest looks fresh off Fashion Week, but without the couture price tag? Then fast-fashion stores are for you. Check out these trendy Chicago shops and malls that carry the latest designs at prices that won’t bust your budget. 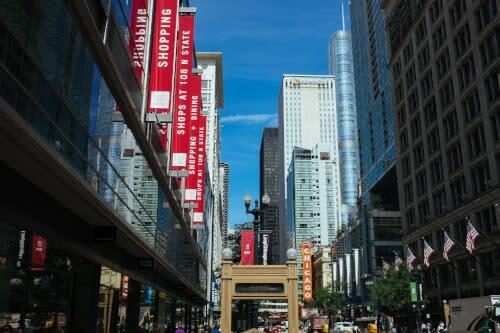 Chicago’s famed Magnificent Mile shopping district stretches north along Michigan Avenue, and is dotted with some of the biggest names in retail. For the latest off-the-runway looks, head to fast-fashion emporiums Zara, H&M and Topshop. Nearby, Uniqlo offers a range of comfortable Japanese-designed casual wear. The priciest boutiques of all, including Barneys New York, can be found at the northern tip of Michigan Avenue on upscale Oak Street. Visit Vosges Haut-Chocolat in The Shops at North Bridge for a sweet souvenir while browsing Nordstrom’s latest pop-up shop and the mall’s various boutiques, including White House | Black Market and Lucky Brand. Fashion mavens could spend all day at the upscale 900 North Michigan Shops, home to Karen Millen, Aritzia and Luxury Garage Sale. At Water Tower Place look for the latest trends at affordably priced Forever 21, Free People and Francesca’s. For a taste of local Chicago designs, visit downtown Block 37, the Loop&apos;s only mall. Inside, guys will find comfortable track pants and hoodies at Iridium Lab, while ladies can shop the trendy rompers, bomber jackets and colorful mini dresses at Akira. Head upstairs to the Chicago Design Museum&apos;s Threadless Artist Shop to explore graphic designs and illustrations from local emerging artists that are printed on t-shirts, pillows and tote bags. Chicago is a sports-obsessed city, and no living icon looms as large as Michael Jordan in its collective psyche. The basketball legend has his own Footaction store, 32 South State, with a first-floor retail space, plus second-floor basketball half court and workout area. Other sneaker and streetwear stores with unique Chicago flair include Succezz, co-owned by former NBA player and Chicago native Bobby Simmons, and Leaders 1354. One of Chicago’s most eclectic shopping neighborhoods is Wicker Park, where old meets new and juxtaposing diverse styles is the norm. Men and women will find plenty of boutiques where they can browse and entirely reinvent their style in just one afternoon. Una Mae’s has a great selection of both contemporary and vintage men&apos;s and women’s clothing. Resale shops like Buffalo Exchange, Ragstock and Crossroads are great spots to pick up trendy bargains. Find modern watches, vests and eye-catching dresses at Futurgarb. Pick up the hottest kicks from Saint Alfred. And be sure to head to Urban Outfitters, the temple of all things trendy, for of-the-moment looks. Get the most bang for your buck with the hottest designer brands at a discount. 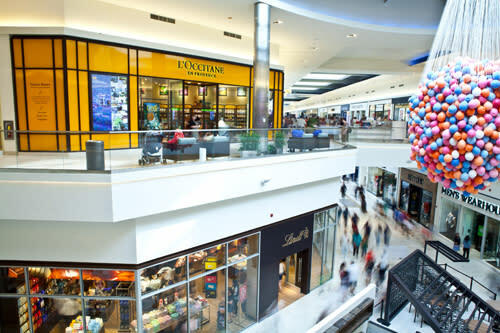 Close to Chicago O’Hare International Airport, at Fashion Outlets of Chicago you can store your luggage while shopping 130+ stores, including AllSaints and Puma. Chicago Premium Outlets is an open-air mall in Aurora, with shops that include Diesel, Aldo and Guess. Hailed as the largest outlet mall in Illinois, Gurnee Mills carries brands from Steve Madden to Pacsun (which stocks the wildly popular Kendall + Kylie line).